The unexplained disappearance of a Brazilian man has sparked a rush of conspiracy theories after it was discovered he left behind a room full of strange writings and a statue of a 16th century philosopher who is famous for his theories about space. Bruno Borges has been missing since Monday March 27 when he mysteriously disappeared after a family dinner in the city of Rio Branco in northwest Brazil. The psychology student's disappearance sparked international interest after extraordinary footage, which is reportedly from the inside of Borges’ bedroom, was posted online. The video shows the room’s walls and floor lined with hundreds of thousands of words of text as well as strange diagrams. There’s also a bookshelf full of books and 14 large notebooks full of writings with large roman numerals stamped on the covers. 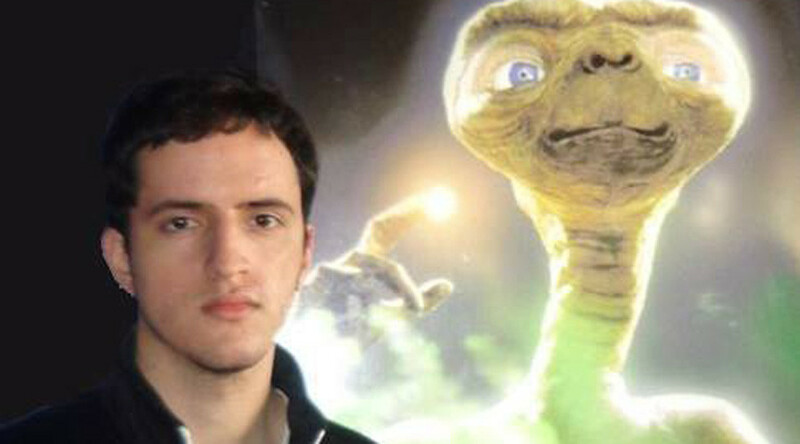 @SecureTeam10 Bizarre story in Brazil about Bruno Borges, a student 'influenced' by aliens to write a series of enigmatic books, who is now missing. Perhaps the most bizarre feature in the room is the large statue of Italian Renaissance philosopher Giordano Bruno. Bruno is known for his theories on the infinity of the universe. The former friar championed the Copernican system of astronomy which placed the sun, not the Earth, at the centre of the solar system, leading him to be charged with heresy and burned at the stake in 1600. Numerous people on social media noted that Borges bore a physical resemblance to Bruno. Among the writings were passages from the Bible and phrases from Leonardo da Vinci as well as what look like pentagrams. One of the books is titled "Theory of the absorption of knowledge." There is also an odd self portrait of Bruno standing with an extraterrestrial. The student’s disappearance was first noticed when his father entered his room, which was always locked, and saw what his son had created. "I went in there and did not see the bed, I did not see anything, I just saw it all. At that moment I saw that Bruno was gone," the businessman told Globo. According to his mother, Borges started his work in 2013 and began working on it intensely in the past year. “He just told me that he was writing 14 books that would change mankind in a good way,” she said. She told Globo that she believes the case is not just a standard missing person incident. The curious case has captured public attention across the globe with people setting up Facebook pages dedicated to Borges and even sparking a Twitter moment as people try to decipher his works. The investigator leading the case, Fabrizzio Sobreira, said the case remains confidential, but all possibilities are being considered.